The Hoover Institution hosts "The President's Book of Secrets: The Untold Story of Intelligence Briefings to America's Presidents from Kennedy to Obama" on Thursday, October 13, 2016 from 5:00pm - 7:00pm. Benjamin Wittes's interview with Stephen Budiansky on his new book, Code Warriors: NSA's Codebreakers and the Secret Intelligence War Against the Soviet Union. Benjamin Wittes's interview with author Fred Kaplan on his new book, Dark Territory: The Secret History of Cyber War. Jack Goldsmith’s interview with Jefferson Powell on his new book, Targeting Americans: The Constitutionality of the U.S. Drone War. Jack Goldsmith’s interview with Juliette Kayyem on her new book, Security Mom: An Unclassified Guide to Protecting Our Homeland and Your Home. 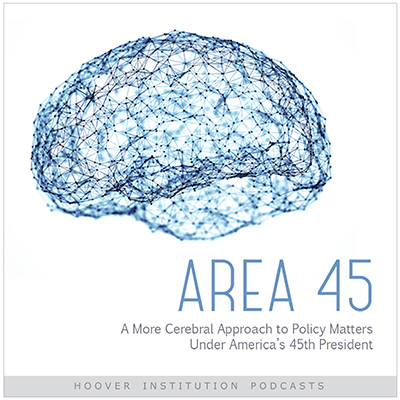 Benjamin Wittes Interviews General Michael Hayden on his book, Playing to the Edge: American Intelligence in the Age of Terror. Jack Goldsmith Interviews Orde Kittrie on his new book, Lawfare: Law as a Weapon of War.